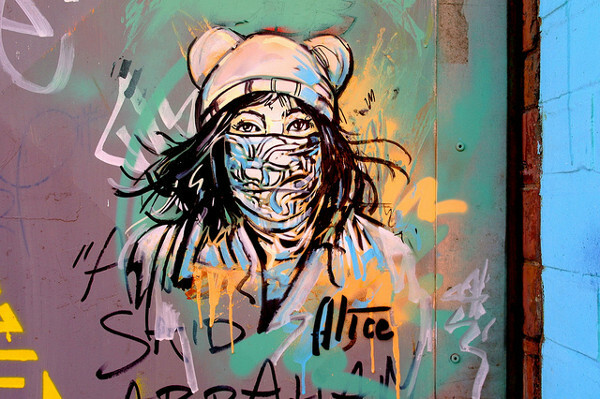 Inspired by a 90’s comic book Sprayliz which features a girl who creates political graffiti Alice Pasquini‘s favorite canvas is city walls. 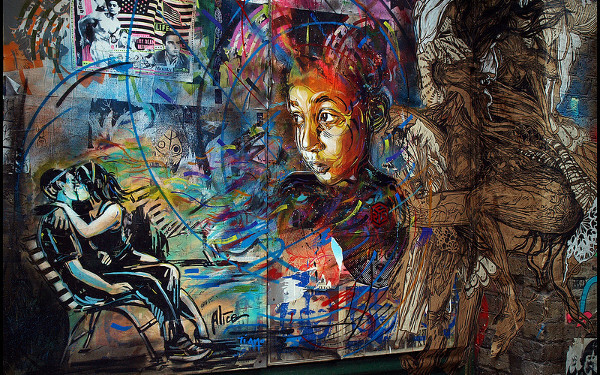 As a graduate of Rome’s Academy of Fine Arts Alice’s works have appeared on the walls of cities around the globe. 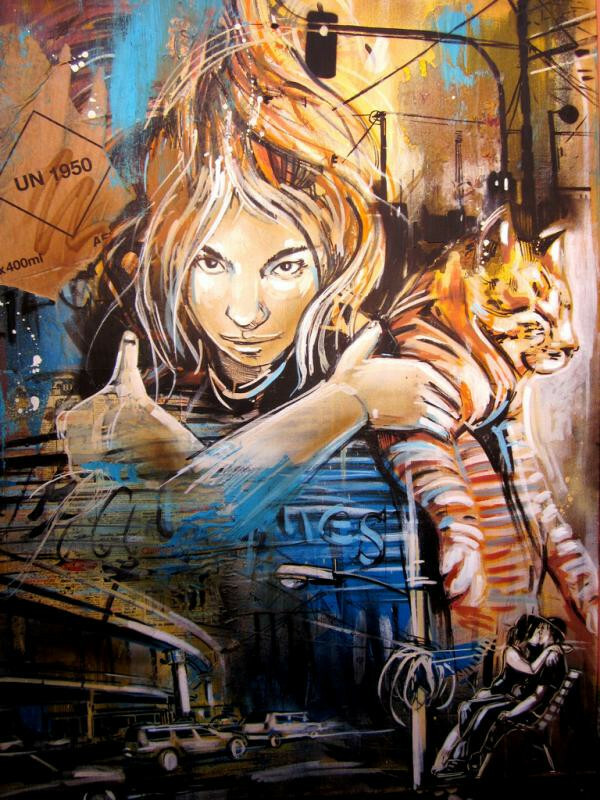 Alice Pasquini is a visual artist from Rome who works as a painter, illustrator and set designer, but my favorite is her street art. 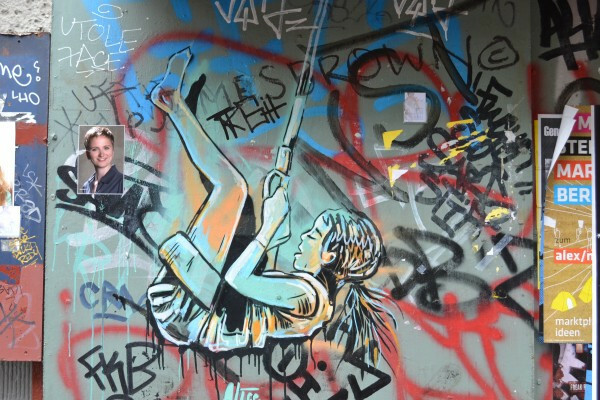 The subject of much of her work is the small moments and connections between people. 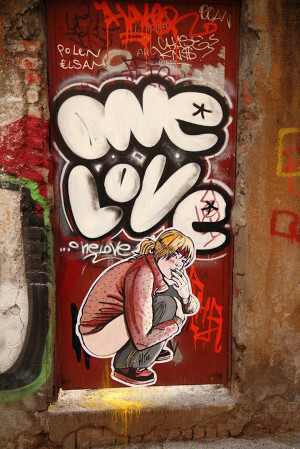 Most street art tends to be either political or cynical and is intended to highlight social issues in a thought provoking way. Alice’s work is more mood provoking capturing moments of affection, wonder and curiosity that reminds the viewer to enjoy the simple things in life. Her focus is to portray women as strong and independent rather than the highly sexualized image of femininity often portrayed by the media. 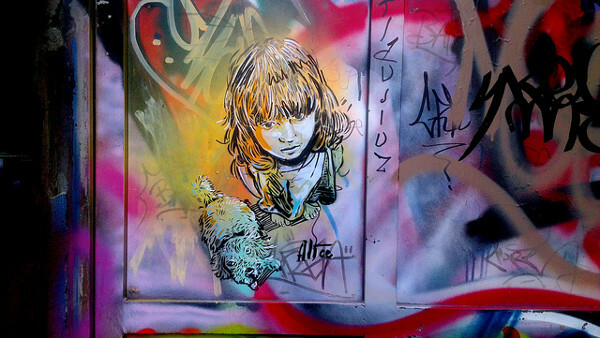 More of Alice’s work can be viewed on her flickr photostream. 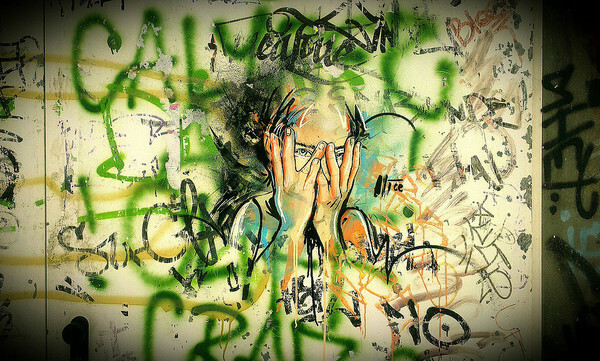 This entry was posted by Fresh Dub on August 5, 2013 at 11:03 am, and is filed under Art. Follow any responses to this post through RSS 2.0. You can leave a response or trackback from your own site.